Most building insurance policies have a clause stating homes left empty for 30 days in a row are not covered – which means the firm will not pay out if a claim is made. Specialist unoccupied or empty homes insurance fills the gap for property investors leaving homes empty during tenancy voids, refurbishments or light use, like a second or holiday home. What does empty homes insurance cover? Student landlords should watch out for the empty home trap on insurance during the summer when students are away for eight weeks or more. How long does unoccupied home insurance last? Some empty home insurers offer short-term policies that cover letting voids rather than as an annual policy, while some insurers offer the cover as an add-on. Landlords should check out their buildings insurance when a property is empty to make sure they are protected. 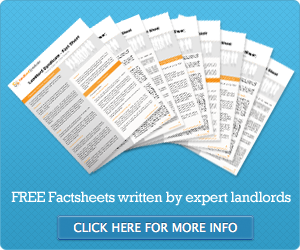 Don’t letting agents check empty homes? Letting agents are not responsible for security of empty properties, even if they are marketing for tenants. An alternative to empty home insurance is an empty property visit from ARPM Inventories. “Property security rests with the owner and not the letting agent marketing the property while unoccupied,” said Kate Maddison of ARPM. The checks cost from £30 plus VAT a visit.